What are two of the things we associate with mid-August? Hot weather and end of summer sales. It’s no coincidence that HostGator is combining both in a special, 24-hour promotion scheduled for Tuesday, August 19. That’s right, during that 24-hour period customers can save 45% when they purchase new hosting packages. Between 12am and 11:59pm CST, customers can save on all new hosting packages – this applies to both brand-new and existing customers. Domains will be available for as low as $8 per year. However, the promotion is good for only one day, August 19. 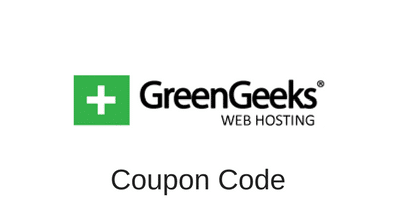 Anyone who has been planning to purchase a new hosting package would do well to take advantage of this sale. Be advised that the promotion does not apply to renewals, upgrades or extensions of existing packages. HostGator offers shared hosting, virtual private servers (VPS), and dedicated hosting service. Every new plan comes with dozens of free scripts, 4,500 website templates, free website building software, $100 in Google AdWords credits, and much more. Customers also enjoy unlimited disk space and bandwidth along with a 99% up-time guarantee. It is hard to go wrong with HostGator, especially when you are saving 45%. Since 2002, HostGator has been providing entrepreneurs and Fortune 500 companies with web hosting products and services. They currently service customers in over 200 countries, offering both direct and reseller products. To learn more about the company or their special, 24-hour promotion offering 45% off on August 19, visit their website at www.hostgator.com. This entry was posted in Coupons on August 18, 2014 by WHR.